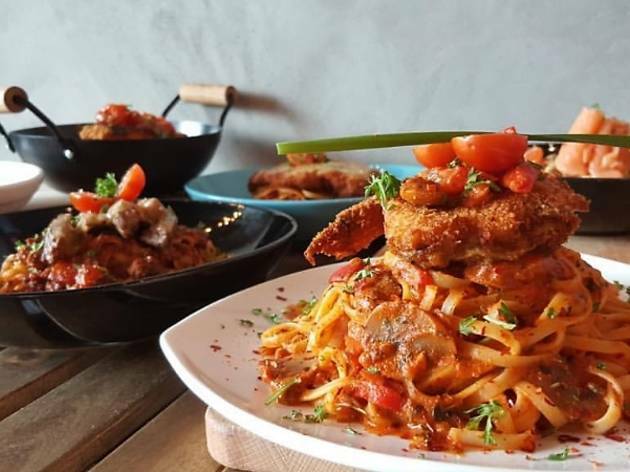 If you prefer your pasta selection varied and extensive, Frisson Coffee Bar in Damansara Uptown should be your next brunch spot. 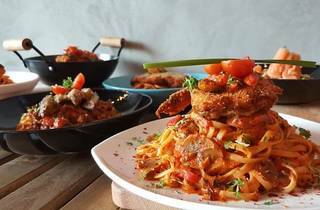 Pick from a list of 14 types of pasta: the picante soft shell crab pasta in creamy tomato sauce, garlic basil salmon pasta and beef striploin parmigiana are good choices. For an alternative to doughy pizza bases, order Frisson's 'skinny' pizzas (they use baked tortilla instead) with toppings such as salmon and parmesan and mozzarella cheese. When you're ready for dessert, dig into the 'Are You Nuts?' affogato, served with a single shot of espresso (or chocolate, if you aren’t caffeine-inclined) and a scoop of ice cream along with toppings like crushed peanuts, pistachios and shaved chocolate.